– Brian Doherty, from “A Tale of Two Libertarianisms,” which appears in the March 2010 issue of Reason. This article is a book review of a newly published collection of Rothbard writings entitled, Rothbard Versus the Philosophers (Public Affairs), which is edited by the Italian political scientist, Robert Modugno. On its own accord, the article illuminates a fascinating divide between the more extreme and pragmatic intellectual cornerstones of the libertarian movement, specifically during the mid-20th century. 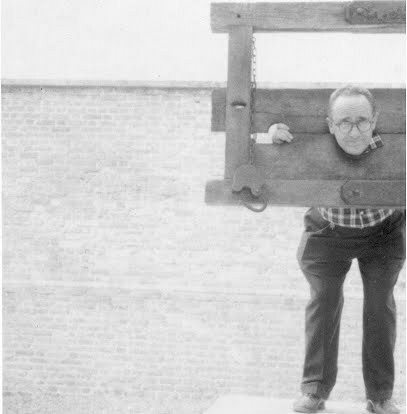 As salient as Rothbard’s visionary contributions have proved to be, perhaps the most intriguing element of his agenda was his rigorous PR saavy. Here was an anarcho-capitalist intellectual who had no qualm being ironically (though, smartly) influenced by Marxism’s ability to affect real political and social change. Hence his tireless rallying cry, captured in this book, against seemingly kindred thinkers like Hayek, who he was convinced would damage the influence of libertarian causes around the globe by compromising its relatively absolutist, anti-Statist ethos. Doherty also does a great job putting Rothbard’s influence into modern perspective, making sense of Ron Paul’s effectiveness during the last couple years of American political life.